Bigasoft Total Video Converter can convert between various video/audio files format including TiVo, AVI, Xvid, DivX, H.265, H.264, MP4, 3GP, MKV, WMV, FLV, MOV, MP3, AAC, AC3, WAV etc. to help you enjoy favorite movie/music no matter where you are. Delphi TCP and UDP socket library client/server component. Allows multiple servers and clients simultaneously. Create proxy, chat, file transfer, HTTP, SMTP, POP3, FTP and DNS client programs. 32 and 64-bit through Windows 10. Royalty free. ivaldi lets users be in control of how the browser looks, feels and works. Vivaldi does not track its users and offers more features than any other modern browser. 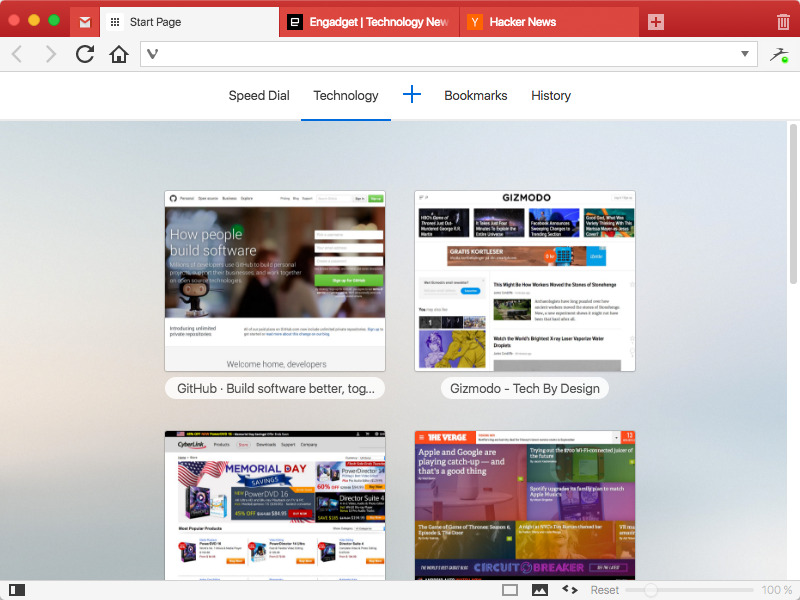 Steered by Jon von Tetzchner (co-founder of Opera browser), Vivaldi is driven by the real needs of users today and ensures that they have the best tool to browse and do the job. Powerful Tab Management - Ability to group (stack), auto-stack, rename, tile (split-screen view of tabs), search in addition to pin, drag, hibernate and mute tabs. Smarter Browsing - Side Panel with easy access to bookmarks, downloads, tree-style access to tabs, notes, browsing history and websites of users' choice. Unique and Customizable Interface - Change the browser's look with Themes, Speed Dials, Adjustable Zoom levels, Clutter-free Reader View, next level toolbar customisation with endless options in Vivaldi's Settings. Privacy is paramount - Encrypted data Syncing across computers including Bookmarks and Speed-Dials, saved passwords and autofill information, History, extensions and uniquely, Notes. Vivaldi browser launches next level of toolbar customization, multiple user profiles and a built-in calculator. Take control of your most important application – the browser – with the most powerful version of Vivaldi.